Jan 14, 2016 Welcome to Day 4 of the Kidlit411 Birthday Bash Giveaway! Today, ALL ABOUT SUBMISSIONS, is the day you've been waiting for - GOLDEN TICKETS: Get to the head of the line with these fabulous agents, most of whom we featured at Kidlit411 last year. You may enter into any or all of the giveaways. All giveaways end at noon, EST, Jan. 21, 2016. Taking one action (such as commenting on this post) qualifies you for that entry (commenting) for all of the giveaways for the day. If you already follow us on Twitter, in our FB group, or subscribe to our emails, you can take those entries in every giveaway. A GOLDEN TICKET gets you ahead of the line and guarantees that you will get a response from the agent! As with any agent submissions, if you win these prizes, please do your homework and research what the agents want. Before we get to the agents, a prize to get you ready for submission. . .
Emma Walton Hamilton is a best-selling children’s book author, editor and arts educator. With her mother, actress/author Julie Andrews, Emma has co-authored over 30 children’s books, including 7 New York Times bestsellers. Emma is a faculty member of Stony Brook Southampton’s MFA in Creative Writing and Literature, a freelance children’s book editor, and hosts the Just Write Children’s Books home-study courses in picture book, middle grade, and young adult writing. Julie Hedlund is an award-winning children’s book author, founder of the 12 x 12 Picture Book Writing Challenge, blogger, and a regular speaker at SCBWI and other industry events. She has published two picture books, A TROOP IS A GROUP OF MONKEYS (Little Bahalia Publishing, 2013) and MY LOVE FOR YOU IS THE SUN (Little Bahalia Publishing 2014) and two storybook apps (A SHIVER OF SHARKS and A TROOP). Together, Emma and Julie are offering their course, The Complete Submission System: EVERYTHING you need, soup to nuts, to catapult your submission out of the slush pile. From how to research editors and agents, write queries and hook sentences, formatting your submissions, following up, and evaluating offers, this will help you prepare professional picture book submissions. Now, on to the AGENT PRIZES. . .
Don't miss the KidLit411 interview with Linda Epstein here! 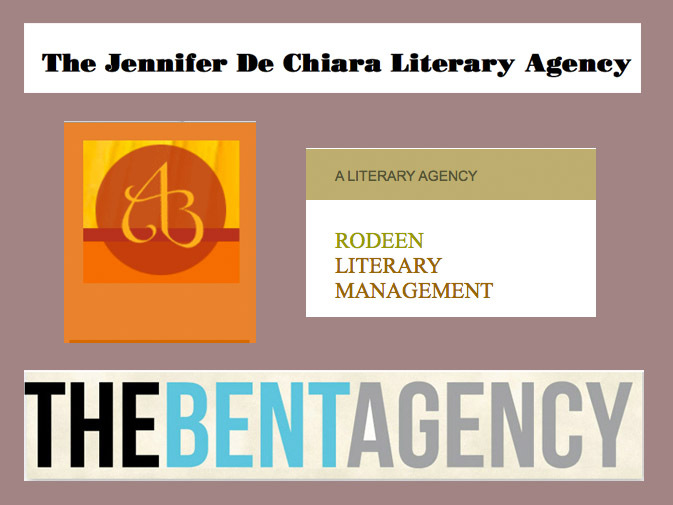 Linda Epstein joined the Jennifer DeChiara Literary Agency as an Associate Agent in 2011. Before that she read manuscripts, book proposals, and queries at Folio Literary Management; was Submissions Manager at The McVeigh Agency; did a short stint at the Jean V. Naggar Literary Agency and a longer stint at Meryl Zegarek Public Relations. Prior to that she was Community Relations Manager at Barnes and Noble, where she set up author readings and signings and organized book groups and book fairs. Linda represents picture books, middle grade, young adult fiction and non-fiction, as well as author-illustrators. Check out her 2016 wish list. Don't miss the KidLit411 interview with Susan Hawk here! Susan Hawk came to agenting from Children's Book Marketing, where she worked for over 15 years, most recently as the Marketing Director at Henry Holt Books for Young Readers, and previous to that as the Library Marketing Director at Penguin Young Readers Group. She was involved in the launch of many different books during that time ranging from Eric Carle's BABY BEAR, BABY BEAR to Betsy Partridge's THIS LAND WAS MADE FOR YOU AND ME, to Nancy Werlin's BLACK MIRROR, as well as the work of Mary E Pearson, Richard Peck and Joan Bauer. While at Penguin, she also worked for a time in Dutton Editorial, acquiring projects for that list. Her favorite part of that time was reading new submissions -- finding something wonderful and imagining where it could go. Susan handles books for children exclusively: picture books, chapter books, middle grade and YA, fiction and non-fiction. Check out her wish list here. Don't miss the KidLit411 interview with Lori Kilkelly here! Lori Kilkelly joined Rodeen Literary Management in 2010, a year after president and founder Paul Rodeen (formerly with Sterling Lord Literistic) opened the agency in his hometown of Chicago. She began representing her own clients two and a half years ago and this year will see published 14 manuscripts she sold during that time, to a diverse group of major publishers. She represents children’s literature from picture books to young adult novels, prefers fiction and likes humor as well as heartwarming. Lori works with career authors - writers who value craft and consider writing their life’s work. Prize 5: 20 MINUTE CONSULTATION WITH ANDREA BROWN OF THE ANDREA BROWN AGENCY AT BIG SUR IN CAPE COD or A WRITTEN CRITIQUE! Enter to win a personal critique from Andrea Brown, either in person at Big Sur on Cape Cod (May 2016), or by email! Andrea Brown is the President of the Andrea Brown Literary Agency, Inc. Founded in New York City in 1981, it was the first literary agency to represent both children's book authors and illustrators. Prior to opening her own firm, Andrea was an editor at Alfred A. Knopf, and worked in the editorial departments of Random House and Dell. In 1990, she moved her literary agency to Northern California. Andrea has published articles and published a chapter about the children's book field in THE PORTABLE WRITER'S CONFERENCE, published by Quill Driver Books. She has been quoted in the NEW YORK POST, CNN.com, Yahoo News, FORBES, GOOD HOUSEKEEPING and REUTERS NEWS SERVICE. Some of Andrea's sales include bestselling titles such as MAMA DO YOU LOVE ME (Chronicle), THE BEANIE BABY HANDBOOK and TEACHER FROM THE BLACK LAGOON series (both with Scholastic), the BEVERLY HILLS 90210 series (HarperCollins), the SUNSET ISLAND series (Berkley), Olympic Silver medalist, Sasha Cohen's autobiography, FIRE ON ICE (HarperCollins), Neal Shusterman's DARK FUSION series (Dutton/Penguin), EVERLOST and UNWIND (Simon & Schuster), BRUISER (HarperCollins), and a forthcoming middle grade series with Disney-Hyperion. Andrea is the Executive Director of the Big Sur Writing Workshops for children's books, held in March and December in Big Sur, California. This year, Big Sur is coming to the East Coast: Big Sur on Cape Cod. Spend a weekend with stellar agents, authors, and editors, as they work with you on your manuscript in a small group setting. If you win this prize, you may submit your first ten-pages of your manuscript, and further details will be provided to you. Thank you all for joining our 2nd birthday celebration! Tomorrow (Friday, Jan. 12), we will pick a few of the winners from Day 2 (writing courses that began this week), and all the rest of the giveaway prizes will be announced on Thursday, Jan. 21. Please continue to visit our site - where we post kid lit links every week and interview authors and illustrators. This is such a great birthday bash! So happy that I found out about this! Thank you! Great opportunities here, how awesome! Happy Birthday!! This is the icing in the cake! Thank you for putting on such an extravaganza! Thank you so much for providing all these fantastic opportunities to improve our craft! I'm blown away by all the amazing women who are willing to send the elevator back down. Thank you! Ooo! Pick me! Pick me! I feel like that kid who can't stop waving her hand and bouncing out of her chair. What an awesome set of opportunities you have put together for your readers! Thank you! You guys rock! Recently, have been referring to an older post on taglines and am very pleased with its insight. I'm so excited about these prizes. Thanks to all the agents who are participating! Fingers and toes crossed, blew out a candle, and watching for shooting stars. What fantastic prizes! Alas, I was not a big Powerball winner (boo! ), however I'm thanking my lucky stars that KidLit411 has so many other--and more valuable--prizes! Thanks to everyone for their generosity & time! Fabulous fourth day of celebration KidLit411 folks! (How's that for alliteration?) Amazing opportunities. Thank you to all who donated their time for this. Awesome giveaway, guys... way to end a great week!! Thank you for these amazing opportunities! Happy Birthday, Kidlit411! So much work has gone into organizing this. Thank you. This is an amazing offer to support writers. Thank you all! Wow, how is it possible for KidLit 411 to become even MORE amazing. Thank you all for all these lovely opportunities. What fantastic prizes - once again! This is indeed a golden ticket! Thank you for presenting these amazing opportunities! Oh how generous! Thank you! You guys just never stop giving -- thank you! Wow, these prizes are amazing! Thank you so much for the opportunity! The prizes are super amazing. Thank you! kidlit411 is my new favorite blog! Not because of the out of this world give-a-ways, but because of the amazing resources. I have been devouring this blog. My sincere thanks for the Grammar/Technical Resources page. A big shout out to Carrie Charley Brown for introducing me to this blog! Happy Birthday Kidlit411. You give us presents every day! This is a fabulous giveaway. Live your site. Happy 2nd Birthday! Meant to say LOVE your site. Auto correct is infuriating! You guys sure know how to celebrate! So happy to be part of the party! Such a great celebration! Kudos to all the KidLit411 crew for the work you do all year to provide such a great resource to writers. Thank you! I didn't win the lottery last night, but I'm still feeling pretty lucky! Hopefully I'll win one of these great prizes! Thanks KidLit411! Many happy returns and thanks for all the fabulous information you guys provide. Love this site. Totally awesome! Thank you!! And happy birthday!! Amazing again! I wish my birthday was this exciting! I can't believe what you 411ers have managed to pull together! You ROCK!!! Ok ladies. This is my third comment and I hope it publishes this time. The kid lit community thanks you today and all the rest of the year for the quality information you provide. Thanks. I will keep my fingers crossed! These prizes are fantastic! Good luck to everyone! :) Golden ticket. Charlie in the Chocolate Factory lives on. How fitting for an agent contest. Happy Birthday, Kidlit411! And thank you again for these amazing opportunities! They are fantastic! This is the best birthday party ever!!! Thank you! This is a Powerball of prizes! Thanks you to the generous donors. Good Luck to all! What a generous kidlit community! Thank you! Your "All About" birthday bash is SO much better than powerball! Thank you for gathering essential information for writers and illustrators and golden prizes, too! Happy, happy birthday! Another fabulous day of prizes! Thank you all! Happy Birthday! Thanks for letting us share in the celebration with such great opportunities! Happiest of Birthdays Kidlit411!! Thank you for all you offer!!! Amazing opportunities!! Hooray for Kidlit411! Thank you! Happy Birthday! And the party goes on! Love this kind of celebration. Happy Birthday! I love you, KIDLIT 411! Bravo for all the work and happy birthday! HAPPY BDAY, Kidlit411. How nice of you to give away presents! What a great way to celebrate! Thanks for these opportunities and happy birthday! More great giveaways! I will be sitting here fingers crossed. What a wonderful opportunity! Thank you! Thanks for all that you folks do! The Big Kahuna! Woot! Thanks again, ladies. Wonderful line up. What a great opportunity for the winners! Fingers crossed! You guys are so awesome. It feels good to have support like this! A huge thank you for all you do. You guys are so kind to all of the kidlitters out here. Thanks for all you do! Thank you for your wonderful service! And all of the wonderful prizes you're offering! I'm positively droolin' over these prizes! You guys have outdone yourselves...Thank you! This has been such a fun week to be a writer!!! Thank you for creating this contest. Thank you from all of the writers and illustrators! Wow this is better than powerball tickets. This has been such a terrific birthday bash! Thank you once again to everyone involved - from those who coordinate the group on an ongoing basis to those offering up their time & talent in support of the Kidlit community. Wowza! You're going to make aome folks REALLY happy on Jan 21st. Thanks to you and ALL your prize contributors over the past four days for such generosity. Thank you so much for being amazing! Happy Birthday again! It's been like Christmas every day! Love seeing the new prizes each day. Hoping I win :) Thank you for such a fabulous contest! Pick me! All these sound wonderful. Happy Birthday! And thank you so much for providing such wonderful opportunities! Wow. Each day continues to impress. Thank you all! What a fantastic birthday bash! All these prizes are amazing and such great info on the site! Fantastic work, Kid Lit 411-ers! Thanks for all you are doing! WOW - these prizes are truly fantastic! Thank you so much for supporting all of us in kidlit! What a fantastic week of giveaways! Thank you Kid Lit 411! Thanks for organizing all these opportunities, and Happy Birthday Kid Lit 411!!! How much more WONDERFULNESS can one person handle? I am thrilled for the opportunities presented here. Thanks to everyone at KIDLIT411 for one birthday bash we will never forget! So many amazing prizes by a site that has been a hero in the field of children's literature and the writing community. Thank you So much for such a wonderful line up of prizes. Kid Lit 411 - you all rock! Best birthday party ever. What amazing opportunities you have arranged. You all deserve the many accolades.Thank you. Wow! Thank you (again!) for these wonderful opportunities. Happy birthday! Even more AMAZING opportunities, Thank you so much! And Happy Birthday AGAIN! Just reading your blog makes me feel like a winner! But I like prizes too! Another amazing collection of opportunities. So much to love about KidLit411! FANTABULOUS opportunities! Happy Birthday, KidLit411 and Good Luck to the winners! What a fun group! Thanks KidLit411! Wow, wow, wow!!!! Thanks so much! This is priceless information - thank you for creating kidlit411! Wow! This bash is AMAZING! Happy Birthday KidLit411. Wow, amazing lineup! Happy birthday, KidLit411! Wowza! What an amazing lineup! Prizes, prizes, prizes! Fantastic bash for a fantastic site! Happy Birthday Kidlit411! Thanks for the amazing opportunities. It's like a birthday party with all the gift giving going on. Thank you for all the fun! This is such awesome sauce it is hard to believe!!!! So generous! What an amazing line-up -- thank you! Great opportunities abound in 2016! Fantastic opportunities! Thanks and Happy Birthday! Way to start off the new year right, with a huge party and such generous offerings! You guys are awesome! Thank you for coordinating these great opportunities! Thanks for these great opportunities! Another great day of prizes! Connecting with an agent is at the top of my 2016 goal list, so these are the perfect prize. Thanks & happy birthday, Kidlit 411! Kidlit411 is an amazing site. Thank you for all you do. Amazing giveaways for lucky winners! Wow...it keeps getting better! Bring on the Golden Ticket!! What a fantastic set of giveaways!! Thank you! Looking forward to the contest results next week! This has been an amazing week of giveaways. And we're supposed to be giving YOU birthday gifts, not vice versa! Happy 2nd Birthday and thanks for this great opportunity! Golden Ticket, indeed! Thank you for offering these wonderful opportunities! Would love to win a critique from one of these ladies! WOW! Great opportunities are being given away today! Best prizes ever for a writer! Thank you!! Exciting prizes! Thanks to you and all the prize contributors! Way to top off a birthday celebration- Many Happy Returns! This is a spectacular b-day celebration! Thanks for the chance at some amazing opportunities. What a fun party week! Thanks so much for these generous giveaways. These are stellar prizes! You guys are the best! Wow!!! I am so excited!! Oh, totally drooling over the offers today!!! Excuse me while I wipe my chin. Happy Birthday!!! Amazing! You guys really know how to celebrate! What a great opportunity! Thanks for doing this!!! Thanks so much! These are wonderful opportunities. This is fantastic. Have sent a query to many of you. Thank you. Wendy Nystrom at wendysbookcase. Thanks for another great set of prizes. Happy birthday! Oh my goodness, any of these prizes would be better than winning the Powerball! Thanks for including these in your birthday bash! This has been quite the birthday party. Wish my own were this good. Thanks to all who made this possible. Wonderful prizes and opportunities, thank you so much ! Happy Birthday. Amazing prizes! Thanks for the opportunity! These prizes are amazing. Thank you, Emma Walton Hamilton, Julie Hedlund, Linda Epstein, Susan Hawk, Lori Kilkelly and Andrea Brown. Another amazing list of opportunities! Thanks! Wow! What an amazing week of giveaways! Thank you all for your generosity! These prizes are amazing! Way to go, KidLit411! Thank you to Julie & Emma and all the incredible agents participating and donating such generous prizes! Thanks for doing this! Great opportunities! Amazing opportunities - this week is really pushing me to clean up my mss! Good gracious, what a list of well-respected agents. Thanks for the opportunity! And thanks for all the hard work you all at Kidlit411 do to compile such great information for us.